How to Uninstall Apps on Mac? How to Clear Cache on Mac? How to Remove Advanced Mac Cleaner? Best Way to Find Similar Images on Mac. Why is Safari So Slow? How to Fix Safari Slow to Load? How to Hide Files on Mac? 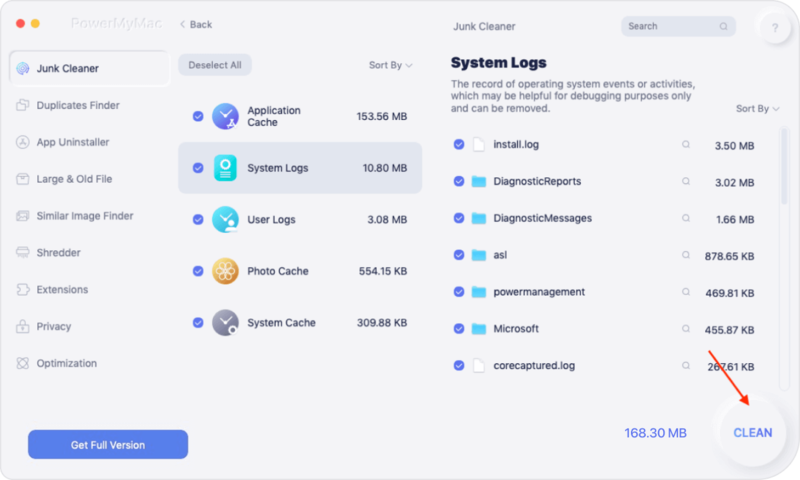 The Best Photo Management Software on Mac in 2019 Which is The Best Mac Cleaner in 2019? How to Uninstall Dropbox from Mac? How to Speed Up Mac? I have a MacBook Pro and I love to use it for different purposes. I use it to edit photos and videos. Also, I utilize it for watching videos and checking out images. But most importantly, I use it to surf the net. The browser I use is Google Chrome. But I have recently noticed that I’m having problems surfing the net using Google Chrome on my Mac. The Google Chrome running slow on Mac. How do I fix this? Part 1: What Issues Will Be Running Chrome?Part 2: How to Fix The Problem That Chrome Is Running Slowly?Bonus 1: The Common Problem of Chrome on Mac and How to Fix? Bonus 2 : How to Set up Chrome? Part 1: What Issues Make Google Chrome Running Slow? Google Chrome has the lion share of the market when it comes to browsers. However, it is still prone to problems. Some people experience that Chrome is running slow. Sometimes, it even crashes, freezes, or refrains from loading altogether. Some people experience that pages do not load on Google Chrome anymore. If you are having problems with Chrome, you might also have noticed that it's getting slower by the day. The poor performance of Chrome is caused by a lot of factors. Fortunately, we have created this article to help you troubleshoot the most common problems of Google Chrome on Mac devices. Part 2: How to Fix The Problem That Chrome Is Running Slow? Before you actually fix your Chrome, you have to make sure that the problem is not caused by your Mac device or operating system. For example, outdated system caches can result in Chrome plugins crashing altogether. Sometimes, your Mac just needs space to enhance its performance. If this is the case, you should use a tool called iMyMac’s Mac Cleaner to free your device for space. Step 1. Download and launch iMyMac Cleaner from the official website. Step 2. Clicking Junk Files on the left column and scan junk file on your Mac. Step 3. Review to select a category and select files to clean up. Step 4. Click Clean and Confirm the cleaning process. Step 5. Clean up is done. Bonus 1: The Common Problem of Chrome on Mac and How to Fix? Chrome is famous for having fast performance. And fast performance means it gets to use a lot of Mac’s CPU resources compared to other browsers. The higher the CPU usage, the faster the battery drains. This can be a problem for most users. Good performance becomes nothing if you cannot turn your Mac on because its battery is already drained. If the battery life of your Mac is very important to you, there’s a way to help you extend it. Usually, there are tabs or extensions that are eating too much of your resources and this leads to the burning of your battery life. Step 1 - Launch Chrome. Step 2 - Press Settings icon. Step 3 - Press More Tools. Step 4 - Go to Task Manager. Step 5 - Inside the Task Manager, sort the list by Memory. Now, you are able to determine which site or extensions eat up most of your memory within Chrome. These sites can still be visited, although you don’t need to keep them open in a specific tab if you’re not going to use them. Also, even though some sites don’t use up too much memory, having too many tabs open can still eat up your resources. This can lead to battery drain. Does browser responsiveness tend to be slow? Why do you think is causing Chrome to be slow? Actually, because Chrome eats up too much of your CPU resources, it tends to slow down when there is not enough resource available. One fix you can do involves the cache. Chrome stores your data and history with regards to web browsing in the cache. This can help speed up the surfing experience. However, when your Mac begins to wane in memory or space, it can lead to things slowing down. Step 2 - Visit Settings. Step 3 - Go to More Tools. Step 4 - Go to Clear Browsing Data and choose Clear Browsing Data. Step 5 - Check the following: history, cookie, cache, and other browser data types you might want to clean up. Step 6 - Hit Clear Browsing Data. There's an easier way to clear up your browser and fix common problems associated with it. One is with a tool called iMyMac's Browser Cleaner. Step 1: Download and launch iMyMac-PowerMyMac. Step 2: Click Browser Cleaner - Privacy in ToolKit and click the Scan button to comprehensively scan browser data. Step 3: Preview and choose the desired browser (in this case, Chrome). And choose the various categories you want to delete in the right-hand side of the screen. Step 4: Press Clean and confirm the process. Wait for the cleanup process to be complete. What if your Chrome browser keeps freezing? The spinning rainbow circle appears on your device for a long time. This issu3e is common especially when you continuously use your browser. What you have to do is to delete your browser cache again. To fix this, you can follow the steps outlined previously, either manually or through a tool. When your browser keeps crashing all the time, it’s a very big issue and it states that something must be broken. But what should we do with it? Of course, we fix it. One of the common causes of crashes is Chrome’s extensions. These extensions actually make our browsing experience faster or more productive. However, they can sometimes be corrupted and introduce bugs into Chrome’s system thus leading to its crash. But what should you do with problematic Chrome extensions? First, you have to update everything. You have to ensure Chrome is actually updated to its latest version. The same goes for ALL extensions. If this didn’t work or if everything is already updated to its latest version, one thing you can do is to manually turn off ALL extensions. Then, you can turn them one by one back on. In this way, you can determine which extensions are causing Chrome to crash. Why is Safari So Slow? Here is How to Fix Safari Slow to Load! Step 2 - Visit Settings then visit Extensions. Step 3 - Uncheck all extensions to disable them. Step 4 - Close Chrome and open it again. Once you have disabled all extensions, turn each one (one at a time). Check out to see which extension causes the crash. If you have found the one causing trouble, you can simply delete this extension by clicking the Trashcan icon located next to it in Settings > Extensions. Chrome’s message when a page fails to load is: Aw snap! Step 1 - Checking the Internet connection. Step 2 - Updating Chrome. Step 3 - Restarting the Mac device. Step 4 - Removing Chrome Extensions (you can do this by following the steps stated in Problem #4). When you have tried out every possible method of fixing this problem and it still didn’t work, you may need to reinstall or reset your Chrome browser. Don’t know how to do this? Check out the next part of this guide. Sometimes, Chrome just won’t update on a Mac device. First, you have to wait for a few days before the update begins to happen. However, if it’s been a week and the update still didn’t push through, you might need to reset or reinstall your Chrome browser. Step 1 - Open Chrome. Step 2 - Go to Settings. Step 3 - Scroll down and press Advanced Settings. Step 4 - Scroll down and click Reset Settings. Step 5 - Read the pop-up that appears and Reset. Step 6 - Close Chrome and open it again. Step 7 - Try the update again. If the browser still doesn’t update after this, you may have to download a specific installation file located in Chrome’s official website and install it again. The installation file should be the latest. Bonus 2 : How to Set up Chrome? There are still a few tweaks you can do to improve your browsing experience in Chrome. Do you want web pages to actually load faster than before? You simply have to go to Settings. Then, go to Advanced Settings and then Privacy. Ensure that “prefetch” is activated or turned on. What happens is your resources will be kept on your system and it automatically loads a web page the next time it is visited. Chrome has hidden features---features that are currently under development. To access them, you can simply type chrome://flags. Put this in the address bar located at the top of the interface. Look for enable-smooth-scrolling and activating it to get smooth scrolling on your browser. Search for Number of Raster Threads. Then change it from default to 4. This will result in speeding up of image loading. Activate Experimental Canvas Features in order to boost loading times of pages. Take note that you have to restart Chrome in order for the feature changes to take place. If you want to undo these changes, hit “Reset to Default” on the page you have just entered (chrome://flags). Other commands can be found in the official support page of Google Chrome here. Chrome can be a great browser to use when surfing the Internet. But it is not without flaws. You can simply use this guide to fix the common problems you find on Mac’s Chrome. Also, you can use iMyMac’s Browser Cleaner to fix one common Chrome problem found on Mac. If you find yourself stuck, simply go back to this guide to help solve your Chrome problems.